From the fortunate position I currently find myself it’s unlikely I’ll ever need or want to take on any form of debt ever again. That said I’m also a plan for the worst just in case kind of guy. Incidentally, the end result of which is usually a nice upside surprise but you just never know. So with this in mind I decided to finally, having never checked it previously, check in on my credit report and score. I used noddle.co.uk as its ‘free for life’ but there are a few of them out there including Experian and Equifax who offer free 30 day trials. Just don’t forget to unsubscribe with those or you could be paying up to £14.99 per month for every month you forget. Not an insignificant amount. Personal Information. They have my date of birth and history of addresses. 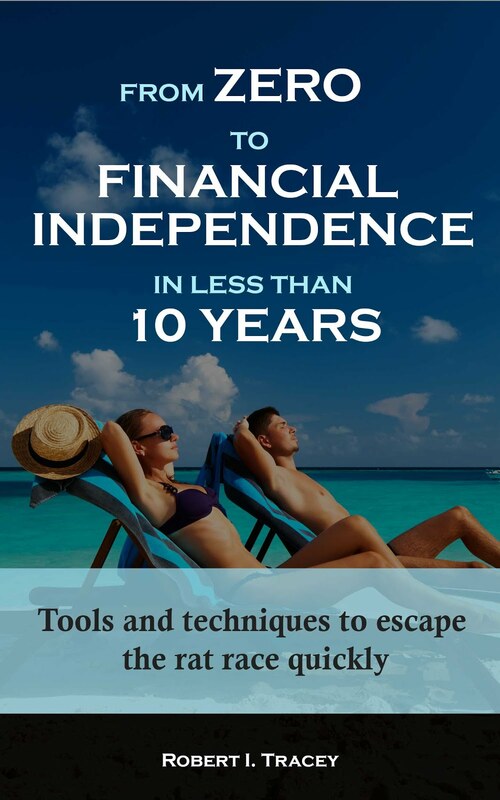 Financial Account Information. They have my American Express Platinum Cashback credit card which shows a long and perfect history of repayment as I direct debit full payment every month. They show my current account but have no record of my cash savings accounts. Unfortunately they also show a store card with a missed payment of £4 which is not even mine. I’ve disputed that which they say can take 28 days to resolve. So checking my credit report has already been of value. Electoral Roll. I’m showed as being registered and the details are correct. 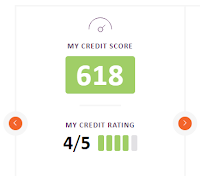 According to Noddle this results in a credit score of 618 out of 710 and a credit rating of 4 out of 5. This is really no better than the UK average of 611. So here I sit with a full time well paying job which includes a long notice period if my company ever wants to dismiss me, financially independent with more than a £1,000,000 of real assets of which more than 50% is readily accessible within 3 days, about to retire (which of course the credit agencies don’t know) and all I can muster up is an AVERAGE. I’m guessing that to get a high credit score I’d need a mortgage, a car on personal contract hire, a couple of credit cards that I pay monthly but not fully and a couple of store cards. I know who I’d prefer to lend a fiver to but I guess I’m a bit of an outlier these days. Mine is 670 (5/5) and I do have a mortgage and several credit cards which I use regularly and pay in full each month (or on 0% interest). It'll be interesting to see what yours ends up at once that £4 non-payment error has been sorted out. Thanks for sharing there weenie and significantly better than me with a mortgage being a core difference. Wonder what you need to do to get that final 40 points? Will be interesting to see if any other readers are prepared to share their scores and constituents to see what make the difference. I didn't get the chance to check while I still had a car loan, so maybe that may have added a few more points! I'll share mine anonymously - 637 (5/5). I'm a 35 yo basic rate taxpayer, no mortgage but loads of credit cards that I pay off every month in full (Halifax cashback; Clarity; BA Amex; Nectar Amex). Electoral roll, no loans. I assume it's because credit scores are produced primarily for the providers (or potential providers) of credit rather than for those on the receiving end of the credit. Someone with £1m of liquid assets is unlikely to provide much by way of earnings or ongoing revenues for a provider of credit, whereas someone who they can charge late payment fees and from whom they can generate bucket loads of interest income each year will have them falling over themselves to sign up as a customer. I tried the experian site, 37 yo with mortgage and two paid up credit cards on electoral role. max score (999) as has my wife (admittedly similar situation). Have you tried looking at the other sites too? Does noodle benefit from paid services to increase your credit score somehow? I recommend experian via cash back website, diary entry to cancel (v easy, done online). Be fascinating to see if the results corroborate. It's a credit rating. Formed using your previous credit history for the purposes of taking out credit. I wouldn't expect anyone averse to credit, to get a good rating. Don't get too hung up about it! Noddle is getting their information from CallCredit (http://www.callcredit.co.uk/) as it is part of their group. I think it would be good to check that the information held by Experian (www.experian.co.uk) and Equifax (www.equifax.co.uk) matches the information held by Noddle / Callcredit. When I checked my information some time ago it turned out to be different across the 3 providers. 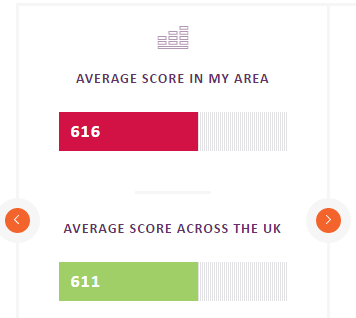 Check out clearscore, website is 100x better and it'd be interesting to compare their score against Noddle's. I've got no mortgage but 2 CCs, one of which I pay off every month, the other of which is a 0℅ on which I bought car (timed to be paid off two months before the 0℅ runs out). My credit score on Noddle is 652. I only have a credit card (which is paid off every month) and a mobile phone contract. It has been lower in the past and slowly creeping up, but I have no idea why. Credit score's in the UK are a made up number based on your last 6 years credit transactions/status that have been reported to that reporting agency. I suspect the purpose of the score is to sell you credit cards, which the reporting agency will get a referral fee on. By contrast credit scoring is something that an actual credit provider will do based on your last 6 years credit transactions/status that they get from one or more of the 3 reporting agencies, plus whatever extras they ask you. They may then report in any subsequent credit transactions/status to one or more of the agencies. The key point being that each credit provider will have a different scoring system for each credit "product". The score that you can see at fronts for reporting agencies such as Noodle et al. is just for you, although you'd hope it's a good indicator for credit card acceptance. So my noodle score is what you get if you have nothing credit wise going on in the last 6 years, literally a blank sheet. Not that it makes any difference, but I notice that Noodle doesn't have all my accounts because credit providers aren't obliged to report transactions to all or any of the reporting agencies . Bottom line; it's total bollox but useful to check that you haven't been a victim of ID fraud. I agree entirely with your last line. I suspect that very few of RIT's readers would not research the lending market fairly thoroughly if they needed any kind of a loan . Private and Investment banks will often offer favourable terms to individuals with sufficient assets other than bricks and mortar equity - and those assets can be used as security and a charge put on them by the lender. Don't forget that any personal details you pass on to a credit agency etc., are only as safe as their systems. I cannot really see the point of drawing attention to yourself, if you don't even need the credit. 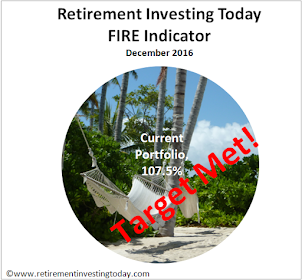 I went through a similar thing a decade or so ago with one of the agencies, and found I was scoring about 750 (from memory) despite having no debts, being a solid investor, etc etc. Basically I stoozed some credit card debt, bought something in instalments on 0% interest just for the credit record purposes, etc. Not much, from memory.